Up to 1964 Wheel Horse used a 15/8" Hub, (we have those Hub Caps also, same price), if the Wheel was replaced, it was probably with a 1.5" hub. Wheel Horse first introduced Red hubs about 1967, the Black and the Ivory/White were only offered for a few years, & as an option until their inventory ran out. Our Reproduced Logo Hub Caps will also come with a pair of 1.4"ID Black or Red "Upper Spindle Caps" (tell me which, otherwise our color choice) to fit over the upper axle end, (see far right in the photo). From the top is where most of the dust, dirt & water can get down & in. These are all 'fresh', newly made parts by us here in our home in mid-MI. The logo we use is about 30% larger than the original (top are original smaller size). The majority of original factory Hub Caps used were solid RED. Be sure to measure your Hub size, these fit onto a 11/2"OD Hub. A pair of the 11/2"ID Logo Rubber Hub Caps (any color) with the Black or the Red upper spindle caps is just $20, be sure to tell me if you want the Black or the Red uppers, and which color Logo Hub Caps; Red, Black, White or which 2-color; otherwise we'll send you Red. Hub Caps are best installed on a warm day, as warm plastic is much more flexible & soft; caution, older 20-30 year old plastic & rubber can be very brittle to remove & re-install, use 'plastic restorer' first and be very warm, even 100ÂºF when installing. The "inner ridge" will keep these new rubber Hub Caps on snug. We also have the smaller 1.25"ID Hub Caps available in the same color choices and price (but with no uppers); the 1.62"ID and 2"ID are available in solid Red only, same price. 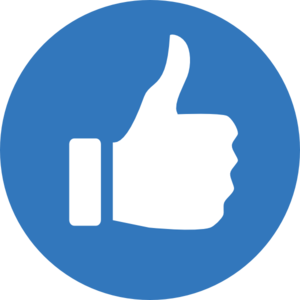 [Hub Caps are small, often rubber, and cover only the small spindle hub, usually 1 to 2" diameter, often called dust caps â€“â€“ a Wheel Cover is usually chrome and covers the larger metal wheel]. $20 /pair, includes the uppers, plus $3.50 First Class shipping. 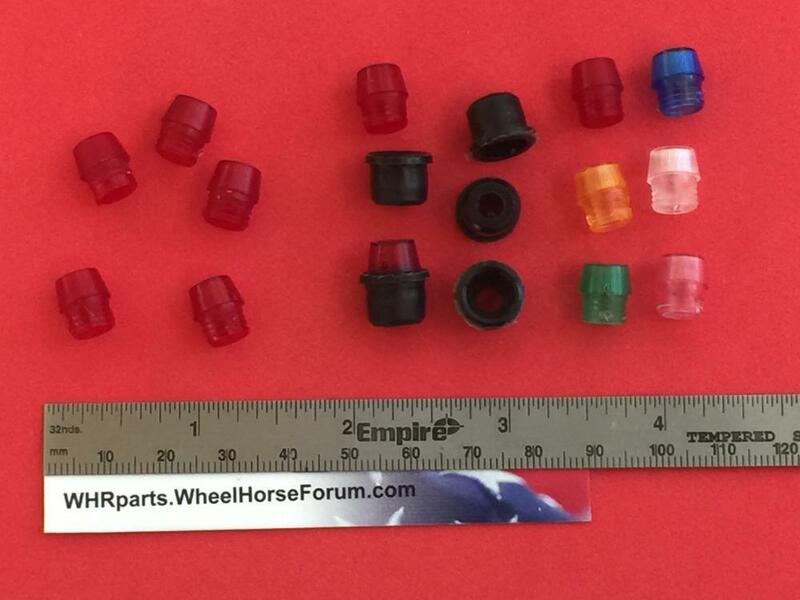 Note: -- extra Black or Red UPPER 1.4"ID Spindle caps are: $1 @, or 6/$5 or 12/$8 (plus shipping, usually about 50Â¢ more/dozen, with an order). (1) The HL-5 Lenses were used on many 'Round Hoods', mostly as an option, diameter is 2.75" and they fit into Chrome Bezels, that stuck out from the sides of the hood. Available in Clear, Red & Blue (the colors are used on the 50-60's Harley Bikes; on some autos as Running/Back-up/Trunk/Hood lights, they had identical chrome bezels as these WH ones and are interchangeable). Lens is held in place by four 'spring' wires. $20/pair. (These lenses only bulge out slightly, about 1/4"). (2) The 953 Lens (aka HL-22 Lens option) was standard for the first 6 months of '63, this 3" diameter lens snap-fits into a gold colored plastic bezel . $20/pair. 953 Rubber Bezel Gaskets, $5/pair. (3) The 1054 Lens was use on Wheel Horses; for the last six months of the 953's, all the 1054's, and also available as an option for a few years, 3.5" diameter and cupped, fits into a double metal bezel , and is held in place by an o-ring. $25/pr, includes the two o-rings. (4) The Red Tail Light, fits both the 953 and the 1054 tractors, (only one tail light was used), 1" diameter, snap fit. $5. . . . Tail lights are also available in colors for same $. Replaces the original 113/16"OD clear indicator Gas Gauge Lens of your Kelch or Bemis 6" gauge that has probably yellowed and cracked over time to the point where you cannot see the dial. Simply remove your old lens and glue in this new one with 2-3 drops of glue. The small Vent Hole is located out the side of the small raised center dome, going out horizontal, to almost eliminate the chance of any dust or water from getting in. If your float is still OK, why spend $15 for an entire new gauge. This offer is for the Epoxy lenses only, not the gauges shown. The lenses are 98+% translucent and will fit any Kelch, Bemis or similar (21/2"OD cap) with any length stem and many other brands of Garden Tractors use this same indicator gas cap lens. We now have an inexpensive alternative to the official Wheel Horse Logo Flex Rubber Hub Caps, these are plain Caps and without the internal rib, they will fit on your 1.5" hubs securely and stay on during normal use. Not as nice or as tight as our original hub caps, but very affordable and looks good.